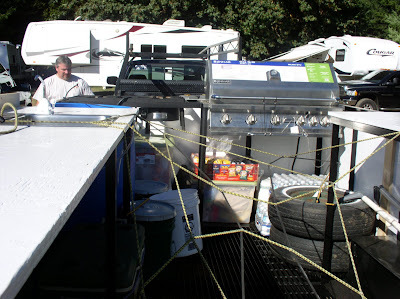 A note from Lee Bennett: Even though the cook trailer wasn't completed yet, it still functioned extremely well. The plaque was very encouraging to see. 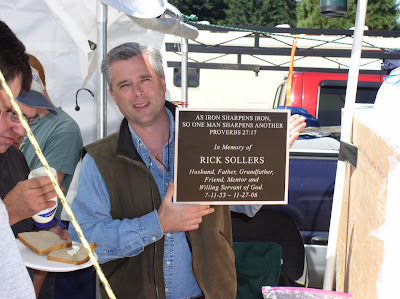 There were several first timers there and it gave us the opportunity to explain to them why we have the trailer and the plaque. 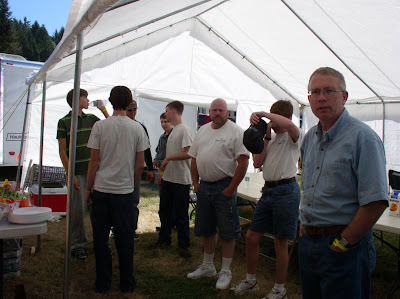 I think that Rick would have been very excited to see long time Christian men spending a good deal of time with these first timers. As the plaque says, iron sharpens iron. A big thank you to Bill Kramer, Del Florea, Tom Elliott, Alex Fuentes, Billy Ferguson and Mark Hannifan. 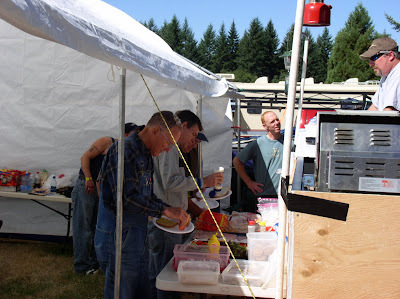 For all your hard work on the cook trailer, You guys rock, some of you cook!